Can DFC help me purchase a property? Can DFC help me sell my property? DFC has contacts with many investors looking for investment properties. DFC typically markets our client’s investment properties to other clients but if you do not mind paying realty fee’s we would refer you to an agent. How soon can DFC start managing my property? We can start the process immediately. Contact us today so we can find out more about you and your property and see if we are the right property management company for your needs. You can email us at [email protected] or call us at 816-364-0100 and ask for the business development manager. If your plans are to grow and and maintain work-life balance. Absolutely not. Maintaining peace and privacy while investing is the entire motive for choosing real estate as an investment- let a professional handle the day to day operations. Our management fee is a percent of the monthly rent depending on the rental amount, location and number of properties. There is a minimum monthly fee. We manage single family homes, foreclosures, 2-4 unit complexes, apartment buildings, retail outlets and shopping centers. It means that you have a single point of contact to discuss all of your property’s needs. Our system is set up to create passive income owners on many aspects of their property. With that in mind, we will contact you if a maintenance repair has the potential to cross your maintenance threshold. If this is the case we would contact you. We only charge 1/2 of the first month’s rent to management clients. There may be a maintenance charge or other related cost that will show in your following month’s statement. By law, the security deposit is not the owner’s money. It is a deposit on the property. DFC holds the security deposit in our deposit trust account. If you are holding the security deposit on an existing property, we recommended that you send it to DFC as soon as we take over management to limit liability. The tenant can enter a maintenance request through the resident portal or by calling our office. DFC will contact the resident within 24 hours for a non-emergency and will send a licensed and insured vendor for any work that requires a license. DFC maintenance service technicians perform non-licensed work, are insured and have had a criminal background check. How do you handle Maintenance Emergencies? Our residents have a special phone line they can call for emergencies. Our property manager will determine if the call is truly an emergency. A partner vendor or DFC maintenance technician will be dispatched. How do I know you will not spend my money on large repairs without my approval? 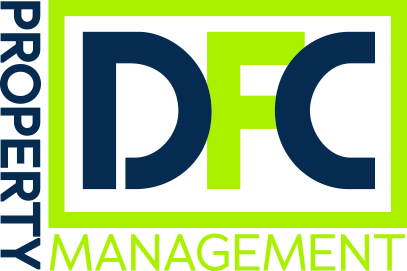 DFC does not spend any amount greater than your maintenance threshold per the agreement. This is our contracted price and it is equal to the reserve amount we hold for your property. Our Vendors have been trained to contact DFC for any issue that is going to cost more than $100. The property manager does not approve any work greater than the maintenance threshold. Furthermore, the property manager will typically not approve the work until the owner deposits the money into the property account. Only during a maintenance emergency where the property manager cannot contact the owner will the property manager approve work greater than the threshold amount. We do not, but we will if requested. We have been working with many of our vendors for years and there is a trust that has been built up. We trust that our vendors are giving us competitive pricing and that they are evaluating the situation correctly. However, there are times when a second or even a third bid makes complete sense. Examples of this might be an AC system needs to be replaced or an underground pipe needs to be replaced. ⦁ You are the one who coordinates between your vendor and the resident. ⦁ We close the work order and we do not get or give updates on the work order. ⦁ We do not pay your vendor. ⦁ If a resident calls and complains that the work has not been scheduled or completed within 48 hours we re-open the work order, inform you that your vendor did not do anything for two days, and dispatch our vendor. You can invite your vendor to join our vendor list if they are qualified and insured. However, we cannot promise that a specific vendor will be dispatched to your home for specific repairs. Our reputation, with both tenants and owners is largely determined by how well we handle maintenance. Our maintenance vendors are a big part of our team. They are insured, bonded, licensed and have gone through training and an approval process on how to work with DFC. This ensures that work orders will be done quickly and to DFC’s guidelines. Never! We HATE home warranty companies! We beg you to not use home warranty companies as they never stick to their word and hire only the cheapest, most incompetent repairmen. I want to handle the maintenance myself, can I? No. We only use our qualified vendors. We are not able to use you for liability reasons to perform work on your home unless you are licensed. We will only manage the property, the owner is responsible for all pool and spa maintenance. We have seen too many times where the resident does not care for the pool and it costs the owner too much money and stress. DFC can find a pool company for the owner, but we would rather continue to use the company that is currently maintaining your pool. Why do I need to have my property inspected? How often are they done? Because tenants do not report maintenance or ever maintain a property as well as an owner would, we have found that is is extremely important to have your property inspected to perform any needed preventative maintenance that can save big issues moving forward. Inspections are extremely important to make sure your tenant is taking care of your property. We start our process 90 days before the end date of the lease. If you do not want us to renew the lease, please contact us immediately. If you do not let us know and we renew the lease you will have to abide by that legal binding document. So, if you do not want us to perform a lease renewal, please let us know as soon as possible. DFC will not renew the lease if the resident has not allowed us to inspect the property. What happens at that point is they go month to month, we’ll increase the rent dramatically so that they will allow us to go ahead and perform that inspection. If our resident does not allow us to inspect the property, that is usually a red flag. We run a CMA, a Comparative Market Analysis on every property. If the market rent on the CMA is less than the existing rent, then there is no change in the rent. We still renew the lease but we don’t increase the rent. If the market rent is greater than the rent and that increase is equal to or less than 10% or $100 or below, then DFC will go ahead and renew the lease at the market rent. If the market rent is greater than the existing rent or over 10% or greater than $100, then we will contact you to determine what the next steps or how much you want to raise the rent. What we find is that most of the people will leave if the rent goes up by more than $100 or 10%. So we’ve been very careful on how we increase that rent amount. And that is our lease renewal process. Our property manager and maintenance tech go to the property after the tenant has turned in their keys. Our property manager documents all of the damage and our maintenance technician begins to turn over the unit. Once our PM comes back to the office, she processes the damage deposit and reimburses the owner for any damage. If there is money left over from the tenant’s deposit the remaining balance is then sent to the tenant. What do you do when my property is vacant? We market your property on our various marketing platforms and a maintenance technician inspect’s the property on a monthly basis. We provide weekly updates to our clients with the latest updates of showings and possible leads. What is your rent collection process? Tenants are expected to pay on the first of the month. If a tenant does not pay on the first of the month the tenant will be contacted as early as the 5th of the month regarding their late payment and possible eviction. If tenants do not pay or set up an arrangement within 30 days we file for eviction at the courthouse and begin the eviction process. Our goal is to get our owners paid as soon as possible. Rents are due on the 1st day of the month and late if not received in the our office by the 2nd day of the month. DFC recognizes that many things can happen when it concerns rent; rent can really be lost “in the mail”, employers can delay the tenant’s paycheck, there are real tenant emergencies, and more. Therefore, we make a serious effort to determine why the tenant is having a problem. If we receive the rent prior to issuing owner funds, we do not contact the owner unless we determine that there is an ongoing rent issue. DFC can and will accept credit card payments from tenants. If we not receive rent by the due date, we prepare and deliver a timely notice to pay or sign a Re-Rent, as the law allows. DFC makes every effort to mail and post notices properly should legal action be required. If we determine the tenant is not going to pay the rent during the notice to pay or quit period, or shortly thereafter, DFC contacts the property owner and works out a plan of action.